A lot of activity is happening in our watershed this year! We have Monroe Street construc­tion, Vilas bridges reconstruction, Wingra shoreline restoration, and more. While many of these activities are physical in nature, some aren’t visible to the naked eye. They are behind the scenes and crucial to continue our work to keep Lake Wingra healthy. 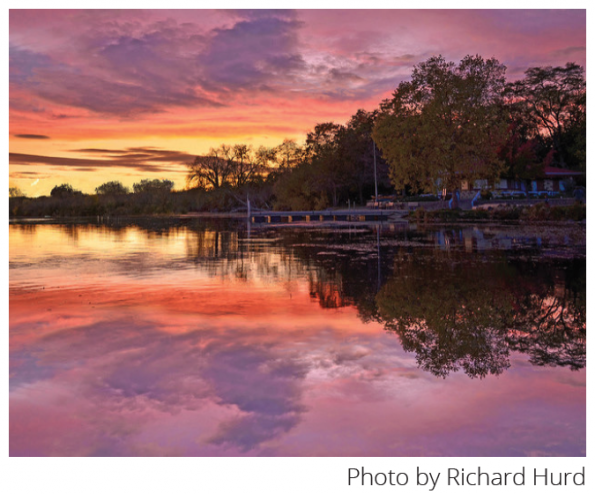 This spring Friends of Lake Wingra launched a strategic planning process. Why? “With the Common Council’s adoption of the Lake Wingra Watershed Management Plan in late 2016 and our evolution into an independent 501(c)(3) nonprofit organization in 2017, we feel this is a perfect time to evaluate how best to advance our mission and grow as an organization,” say Friends of Lake Wingra chair, Ben Yahr. Having a strategic plan is like having a map. It helps guide an organization over a specified time frame with a series of goals and actions. Usually this is through the creation of a work plan. To create a work plan, an organization conducts stakeholder reviews and does an internal analysis of its own mission and vision. Throughout the process we will create a three-year work plan and conduct an internal assessment of our organization. We believe it will help provide continuity, allow us to effectively build off our work year to year, and maintain focus on strategies and efforts that have been particularly effective in the past. Now that we are operating as an independent 501c3 organization, we also want to enhance areas of our operations like fundraising and outreach. We will do our best to consider everyone’s thoughts and produce a three-year work plan that is reflective of the majority’s feedback, aligns with our mission, and addresses the most critical areas of concern for Lake Wingra’s health. Mindy Habecker from Dane County UW Extension is advising the Friends of Lake Wingra throughout this process. We will keep you updated throughout and plan to complete our strategic planning efforts in August 2018.